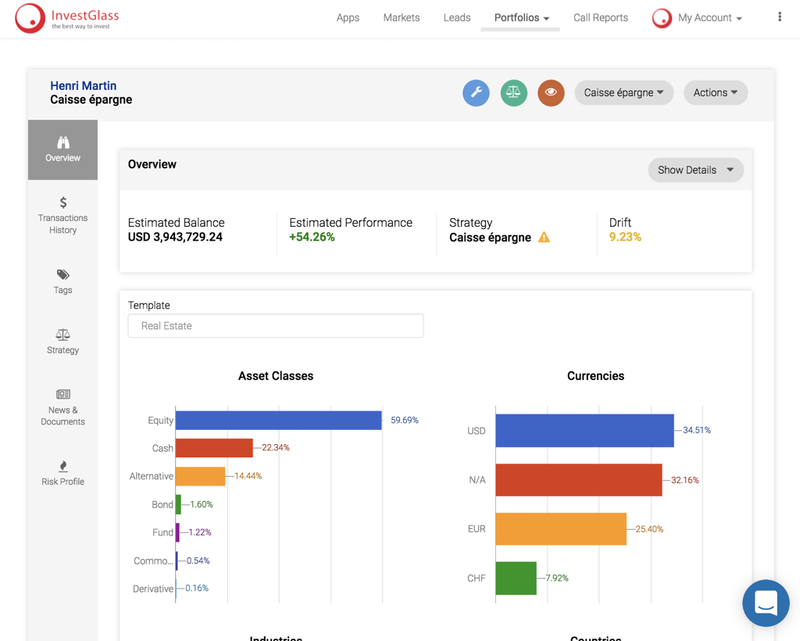 Each night portfolio and transactions are sent to InvestGlass. This process can be manual too. 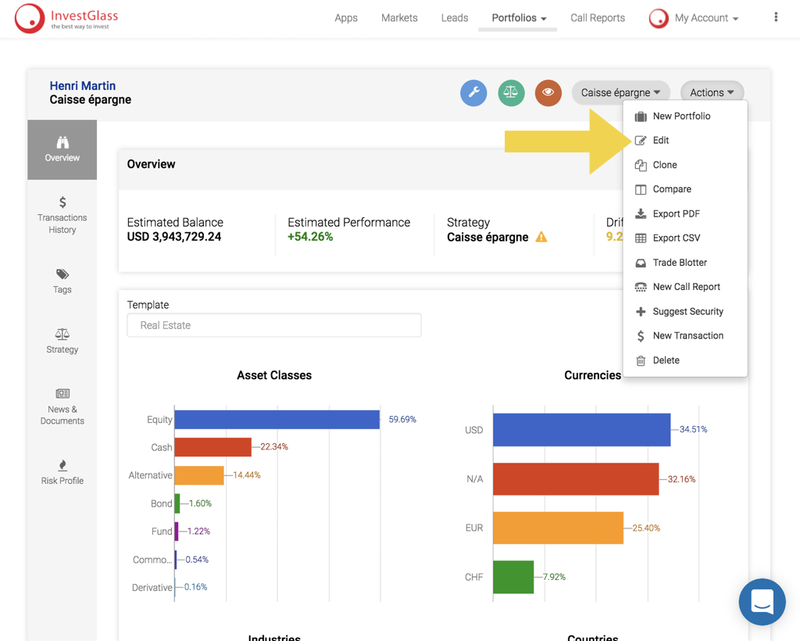 Simply to a portfolio, click Actions, then Edit, Import Transactions, and click Save. 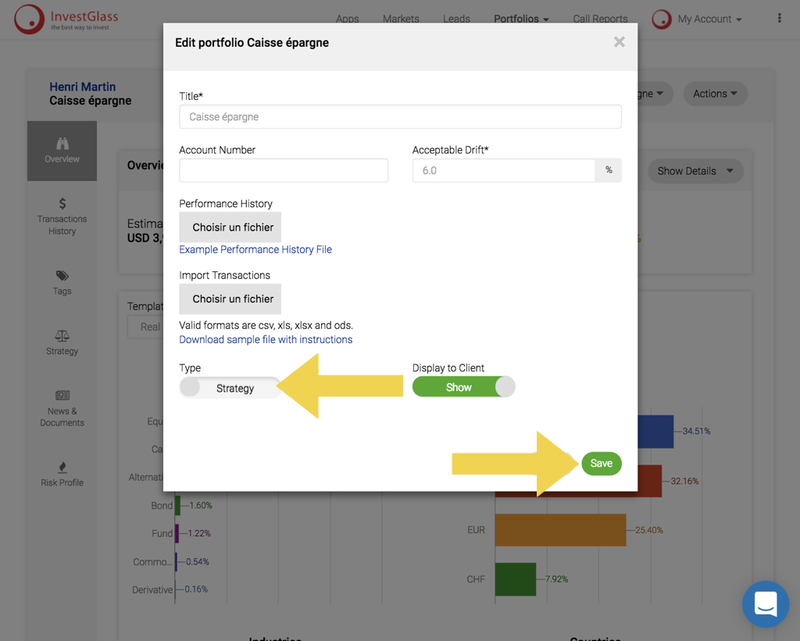 Usually portfolio names are inherited from your custodian. If you wish to rename them, click on EDIT on Portfolio and change the name. Please note that the reference currency can not be changed. Would you like to do so please let us now before the import. Click on the portfolio and then click on EDIT. You can there trigger the Type MODEL or STRATEGY option. This will link your portfolio to a tutor - Investutor. 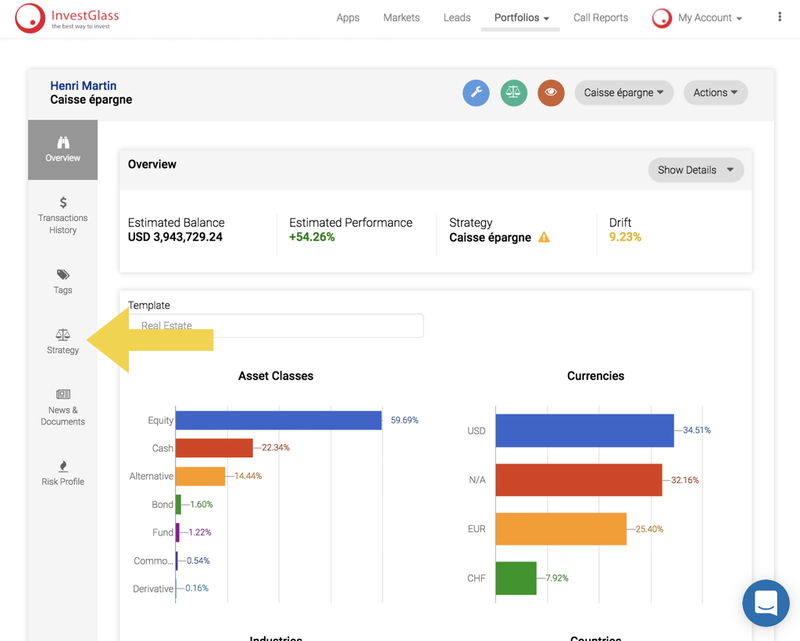 There you can link the portfolio to a specific strategy or model. 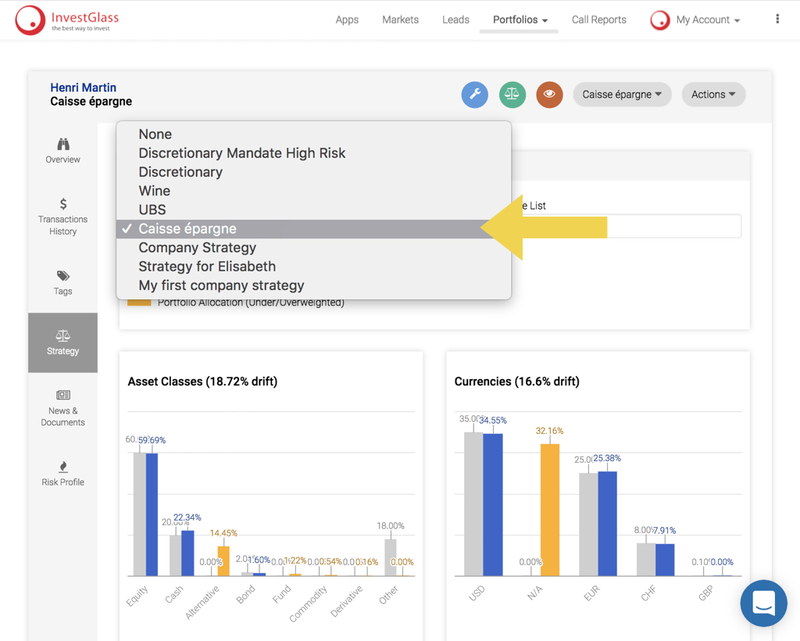 You can also link the portfolio to a compliance list. Select Compliance list just next to Model / Strategy drop down.